Getting a smart home set up can cause serious headaches. Even experienced smart home users can always learn more tips about smart home setup to make it more clear. 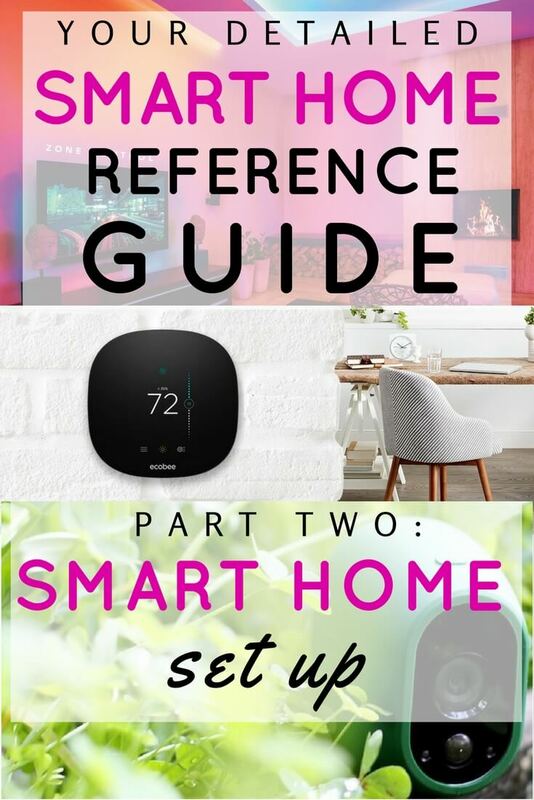 This article will help those of you who own one or two smart home devices and are ready to take things to the next level by connecting even more gadgets. We are going to show you that setting up a smart home isn’t too difficult if you have a plan and follow specific steps. This is the second article in this 4-part series, so be sure to check out the other articles. To get a weekly email and be notified when the next part in the series is ready, scroll down and enter in your email at the bottom. In the first part of this series we talked about how an Amazon Echo Dot 2nd generation is a great beginner’s device. It’s great by itself, but even better when it is connected to other devices. We will focus on connecting a Dot with a LIFX light bulb, because this is one of the main things people use their Echo or Dot for— besides setting timers and playing music, many people use Alexa to control their smart lights. Controlling the lights in your house feels like an essential part of any smart home setup. We will also show how to connect a TP-LINK plug and a sound bar to the Dot as well. These instructions are meant to be an example of smart home setup. There are so many other devices to connect to the Dot that we can’t cover them all in this article. 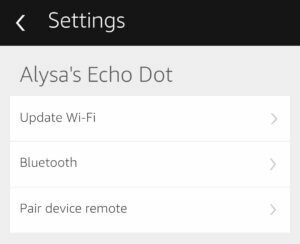 If you plan on connecting other devices to a Dot or Echo, it will be similar to this setup process. At the end of this article, you will be able to do a lot of useful tasks, including turn a light bulb on and off and dim or change its color, as well as turn on a Christmas tree. Voice control is possible for all of these using the Echo Dot. Because the Dot has Bluetooth, we will show you how it can connect to a sound bar, even if the sound bar is powered off. Make sure that you have connected your LIFX bulb to the cloud. If you can control your light remotely, then you have done it, but if you are not sure check out this link. Open the Alexa app. In the menu, choose Smart Home and on the Smart Home screen select the Get More Smart Home Skills. Search for LIFX and select it. Click Discover devices. The app will find your LIFX bulb, which will be named what you entered in the LIFX app during setup. For those of you who are in the USA, you can add the advanced LIFX skill to do more than turn the light on and off. 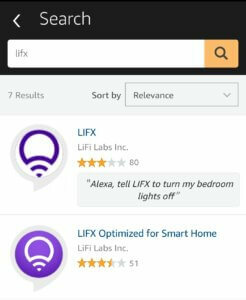 There are two skills to enable for LIFX and by searching for LIFX under the skills you will see them in the Alexa app. The skill with the title as just “LIFX” will allow you to change the color of the light with a voice command. “Alexa tell LIFX to turn family room light to green.” Wow that might seem like a long command, but once you say it a few times it’s easy to remember. Check out this video of my Echo Dot changing the color of my family room lamp. Note that I had to say “trigger blue lights” because it’s using an IFTTT trigger to change the color of the light. That’s why Alexa responds with “Sending that to IFTTT.” You have much more advanced options with IFTTT and we will be covering IFTTT in the next article. 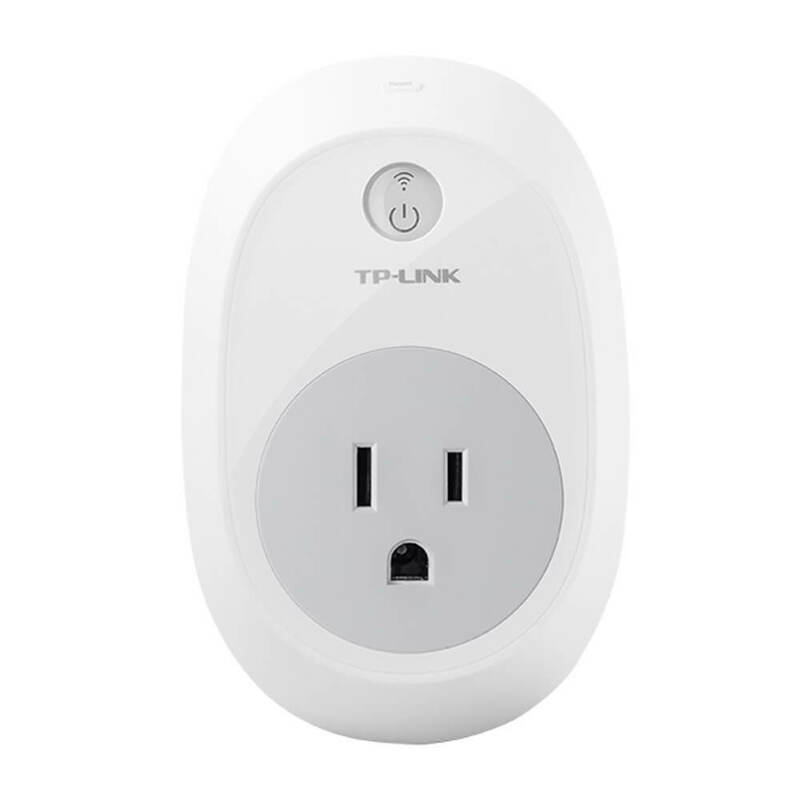 The TP-LINK is the slightly less expensive version of the WeMo switch. The main difference of the two is that the WeMo switch has IFTTT compatibility which we will be covering in the next article. However, they both connect to the Dot and are both reliable. Both devices allow you to control and schedule anything that is plugged into the outlet using Alexa and your phone. Connecting the TP-LINK to the Dot is really easy. 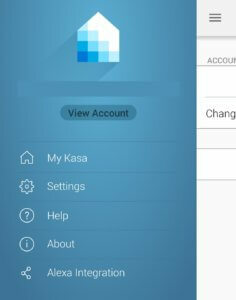 In the TP-LINK app called Kasa, the main menu has an option for Alexa Integration. Once you click on that, there is another button that to Add Kasa as a Smart Home Skill. This will open up step by step instructions on how to connect the two devices. Going through the steps really easy with pictures to guide you through. Here is a summary of the steps. First, you need to make sure that you are logged in on your Kasa app, with remote access enabled. Make sure you have the TP-LINK named the type of device you are using: if a fan is plugged in, rename the device from “TP-LINK” to “fan.” We named ours “Tree,” since we are using it for our Christmas tree. Open up your Alexa app and go to Smart Home. Here, you will click on Get More Smart Home Skills, which opens a page where you can search for Kasa and add it. It will have you sign in with your Kasa app credentials through the Alexa app to help the two connect. Click discover devices. And that’s it! 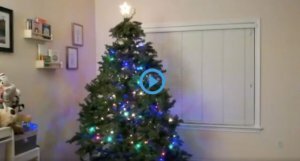 Now you can simply say “Alexa turn on tree” to make the Christmas tree light up. Right now, we have ours plugged into the Christmas tree and it’s so much nicer than crawling through the back of the tree to plug it in. Plus, our little daughter thinks it is magical that we can tell Alexa to turn on the tree. I wouldn’t say you need smart plug as part of your smart home setup, but you will always find some here to use it if you have one. They are inexpensive and very versatile. The Dot is very small and isn’t designed to blast music through your house. The volume is definitely loud enough for voice commands, but it is nice to have Alexa play music. 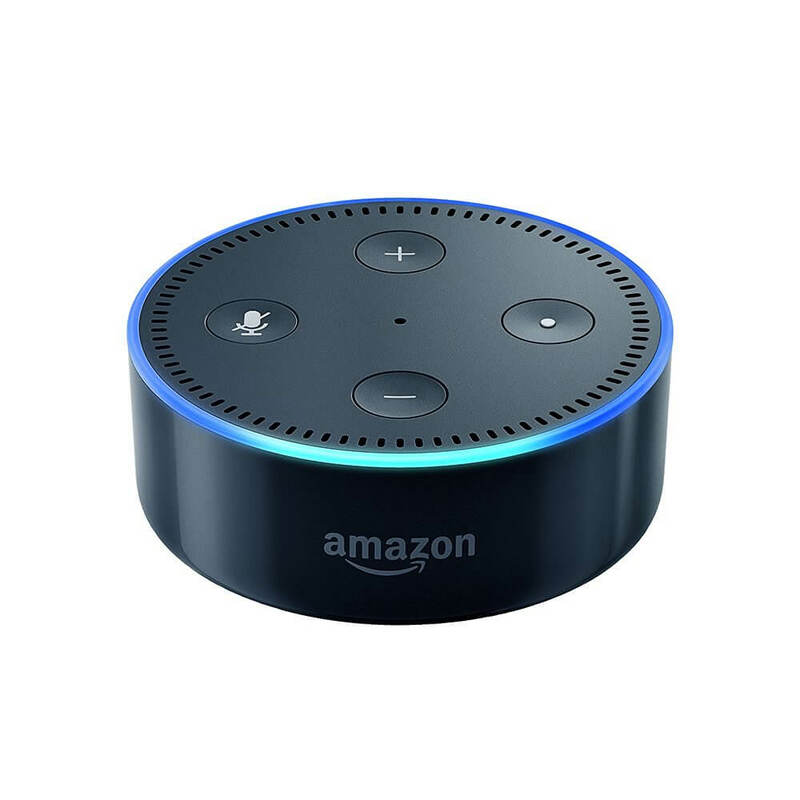 One of the major questions I had before using Echo Dot was if I would need to manually change the sound bar input to play music with the Dot? The answer is: it depends. 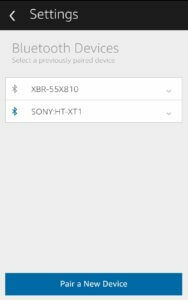 We own a Sony HTXT1 sound bar and it automatically turns on and switches input when it detects Echo is connecting. All I have to do is say “Alexa, turn on Bluetooth” and then our sound bar turns on, switches over to bluetooth and Alexa is now speaking on the stereo. This is really convenient and we use this feature daily. When we are done listening to music, we just say “Alexa turn off Bluetooth” and she goes back to using the Dot’s speaker. You can also manually connect Dot to speakers using a 3.5mm stereo cable. Setting up a Dot with bluetooth is really simple. All you have to do is open up the Alexa app and go to Settings. Then click on your Device and then Bluetooth. Now you can pair it with a bluetooth speaker. Dot is super cheap and easy to use, making it great for any smart home setup. For more information, read our full review of the Echo Dot 2nd gen.
Something to be aware of when buying devices that work with Echo Dot is that some require a hub. 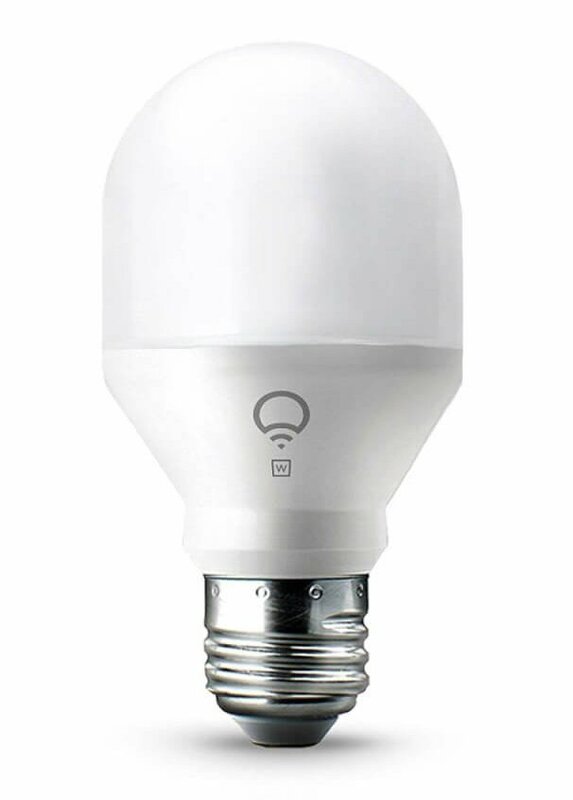 For example, the GE Link smart light works with the Dot but it requires a Wink hub or a GE starter kit Link hub. Not a big deal but If you aren’t planning on buying a hub then just look for devices that are directly compatible with Echo Dot. These are just a few examples; there are endless possibilities. The smart home world is still growing and you may find stuff that is glitchy or does not work. Usually, it’s a small percentage compared to all the things that do work and will make your life a little bit easier. 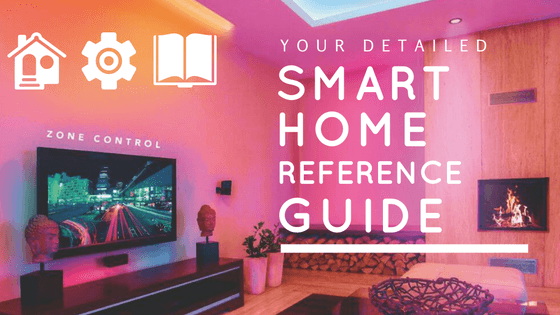 Make sure you research and purchase products from reputable companies and most of the time you will find that smart home devices work well. The next part is going to dive into the IFTTT world and show you how to automate things around your house. This is where the fun really starts because your smart home setup will start working for you in fun, creative, useful ways.